Kuwait & Middle East Financial Investment Company is a stock brokerage company operating out of Kuwait. 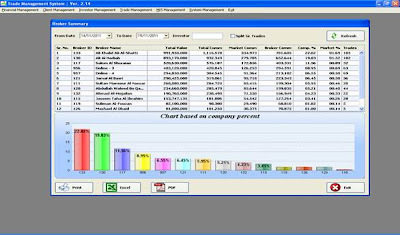 Each year, our company would pay millions of dollars to various software companies and vendors for licenses, maintenance fees and occasional feature requests for our various internal and stock trading applications. As an experienced Real Studio programmer, I saw an opportunity to save the company millions of dollars by using Real Studio to build these applications internally. 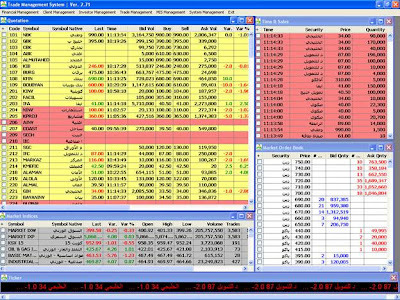 I convinced Kuwait & Middle East Financial Investment Company to buy Real Studio and third party plugins from Monkeybread Software and Einhugur. 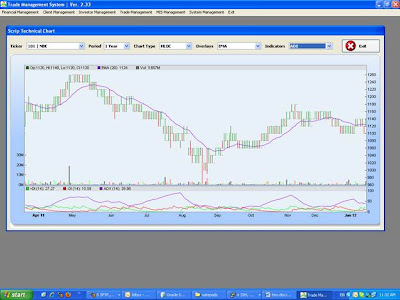 Within 7 months, I had developed both a beautiful stock trading and an internal office application which suited our needs. Each time I come across a question about a feature, I found an answer from the Real Studio community on the user forums. All our applications are based on client-server architecture. The server side components are in Linux servers and client side is based on Windows. Our new, Real Studio built, stock trading application allows for live trading in the stock market using FIX 5.0 protocol standards and displays a live market feed. 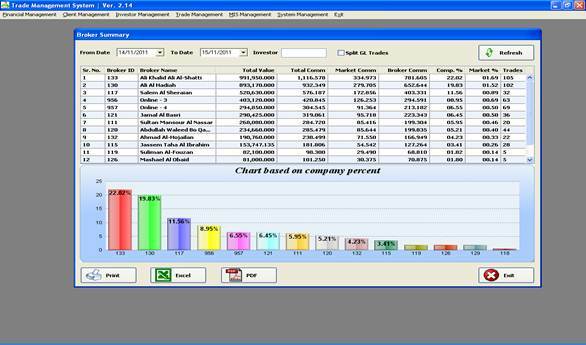 The internal office application is used for order management and features buying power to avoid short selling, automatic sending reports via email and fax to clients after end of market in PDF format, automatic generation of vouchers in general ledger when trades a occurs, as well as all required features for a stock brokerage firm. Our company is very satisfied by this move and couldn’t have saved this much money without Real Studio. Sunil S Abraham is the Senior System Developer, IT - Run Division for Kuwait & Middle East Financial Investment Company. Originally programming in VB 6, Sunil started searching for an alternative in 2004. Once he discovered Real Studio he "never looked back" and has been actively developing in Real Studio since 2005, porting multiple VB 6 applications over the years. Before OS X 10.4, OS X used File Types and Creator Codes to identify documents created by applications. Since then Apple has been phasing out Creator Codes and File Types. It now recommends that you use a Uniform Type Identifier (UTI) to identify documents. A UTI is a special text string that identifies both data and application documents. For example, the UTI for a PNG picture is public.PNG. You would use the same UTI for a PNG file. If you are working with common file types, you should use the public UTI for it. Note: UTIs work with both Cocoa and Carbon applications. For your own documents, you can create your own UTI. A custom UTI typically has a “reverse-domain name” format plus an additional entry for the document type name. So you might have a UTI such as “com.company.app.doc”. The first part of this UTI must match the Application Identifier specified in the App properties (com.company.app in this case). You create a UTI for your documents using the File Type editor. The last column in the editor lets you specify the UTI. 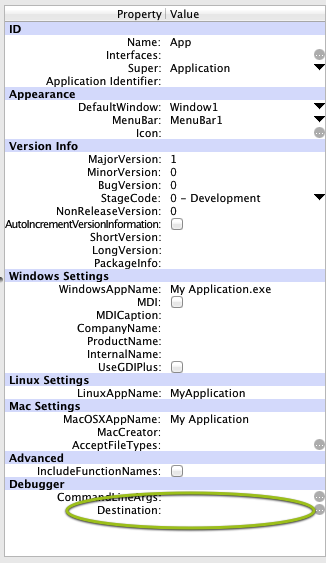 When you build your application, the UTI information is included in the Info.plist file in the application bundle. But in order for this to work properly, you have to add an additional “UTExportedTypeDeclaration” section to the plist manually. Enter “??? ?” as the MacCreator. This is simply a placeholder; it is not used. Add a File Types Set to your project. Enter a name for Display Name and Object Name (such as MyCustomDocType). Enter “??? ?” for MacType and MacCreator. These are placeholders and are not used. Specify your extension (without a period). Choose the icon to use to identify files of this type. When you use GetSaveFolderItem (or SaveAsDialog), you supply the FileType to use as the Filter. A custom document created with the selected file will be associated with your application so that the specified icon appears and so it can be opened by your application. When you view the saved document in the Finder, you will see that it has the specified icon. Double-clicking it will launch your app (if it is not already launched) and call the OpenFile event. If you have been using the MacCreator and MacType properties of a FolderItem and specifying them in File Type Sets, then you need to start using UTIs soon. Apple has deprecated both MacCreator and MacType. To switch to using UTIs, you simply need to start using UTIs in your File Type Sets and updating Info.plist as described earlier. You can leave the old MacCreator and MacType setting in place or you can remove them so that you do not get deprecation warnings when analyzing your projects. As previously mentioned by Geoff in his post "Creating Web Dialog Boxes On-The-Fly", Real Studio web edition works a little differently than the desktop in how you set up a dialog for use. It's handy to be able to drag an instance onto a window and deal with its events and everything the same as any other control. But, as Geoff noted there are times when you don't want to do it that way because you need to reset the dialog to a default state. You might want to have a different dialog based on what browser is being used or other criteria. In such cases, you might want to use a dialog superclass and have several different implementations that vary in appearance for iOS, Android, or for different browsers. This is easily possible using the same technique Geoff illustrated for dynamically creating a dialog. For example, suppose you need a dialog that looks one way for Safari and another one for all other browsers- we could just as easily extend this to Firefox or make it appear different for iOS vs Android. 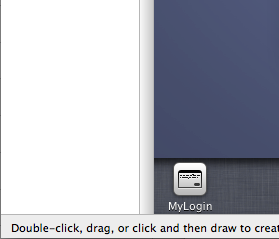 Instead of dragging one of each dialog onto your layout, you could have both derive from a common superclass. With only 1 or 2 variations it's easy to drag them all out, but if you need many more that could be tedious and makes adding a new one more difficult than it needs to be, and you'll end up having a lot events to handle. And now you can set up as many as you want AND handle them all with a very few lines of code. A sample project that demonstrates this can be found here. Now, before everyone gets all agog, I'm NOT an SVN expert BUT I am quite familiar with how to use it in conjunction with Real Studio & VCP files. Most of this experience comes from having worked for Real Software for the last 4 years and dealing with SVN on OS X, Windows & Linux. We use all three here and there are a very minor number of issues that we run into. If you have a team also using SVN then you're likely to experience them as well. Yes, you can use XML, but XML files are much harder to merge and compare differences because they are XML. We do use some binary files, mostly images, and there's not a lot you can do to practically compare two binary files. It would be nice, but SVN doesn't do that. Now IF you happen to use a LOT of external files, which has pros and cons in a team environment especially if you're doing work for many clients, you may have to use either XML or RBP files. There's no way around that at the moment. That's one of the issues with external items. The other issue is that if you use some common code you might be better off being able to "clone" it to client projects on a predictable schedule that you control, instead of just whenever it's updated in another project. And SVN does make this possible if you use subprojects or relative locations. (see http://tortoisesvn.net/docs/nightly/TortoiseSVN_en/tsvn-howto-common-projects.html) This allows you to keep your "common code" up to date in one place and then YOU decide when to update it to other projects you use it in. With SVN in a team environment one of the things you definitely want to avoid is nuking another developer's changes. As long as you regularly update from the repository, this is not hard to avoid and most are easy to deal with. And always update BEFORE committing your changes just to make sure you're not about to put some code back in your main repository that has conflicts. Conflicts arise when you and another team member happen to change the same line in a file. 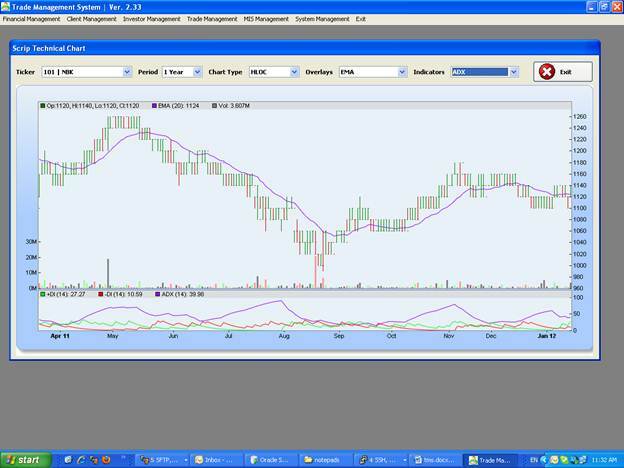 When you update, most SVN clients will highlight the difficulty and let you know. When it's in code, it's not a problem and the IDE will open the items and you can find conflicts by running an analyze, and the IDE will highlight the conflict markup as invalid syntax. The hardest conflict to deal with is when you add something to the project and someone else does as well in their working copy. In a VCP project, adding an item modifies the "manifest", the file with the RBVCP extension, that represents the items in your project. A conflict in this file will make it so your project won't open any more as the IDE has no clue what this conflict markup code means. So what does a conflict look like and better yet, how do you fix it ? The first thing to know is the RBVCP file is just a text file so you can open it with TextEdit, NotePad or any other text file editor (emacs, vi, vim, or pico for those who are so inclined). which says that in MY local copy of the RBVCP file I added a Folder (hence the Folder=) and that in the repository that line has a different folder - someone else added that and checked their change in before mine. In this case I want to keep both things, otherwise I'd drop the other person's new folder from the project. You'd edit the RBVCP file and make sure both lines are in the file. Then mark the conflict as "resolved" - how you do this varies from SVN client to SVN client - and commit that change. Recently, we were contacted by a teacher who uses Real Studio in her classroom. Her students log into their computers with their network login IDs and connect to a student server where they save their work to a folder. However, her students found that after they ran their apps once, they were unable to do so again because the Application.Debug file that is created in their folder is continually in an opened state until the student logs out. Normally when you run a project, it is created in the same folder as the project itself, which was the cause of this problem. This usually makes the most sense, but there are times when it makes sense to instead build your app elsewhere. So how do you change the debug build location? It's actually pretty easy. You use the Destination property of the App class. This property is located in the Debugger section at the bottom of the Preference pane. To choose an alternate path, click the "..." button on the right to get a Select Folder dialog. Choose the folder to use and click OK. The next time you run your project, the debug application will be built in this location instead of alongside the project. Simply clear the property to have the builds again happen in the same folder as the project. What makes web dialog boxes different from how dialogs are handled in desktop applications is that in web applications the dialog as a whole is treated like a control. It has events and maintains its values while the web page is open. For example, if the user clicks a checkbox in the dialog or fills in a textfield, when you display the dialog again, those values will still be set. This can be convenient if that's the behavior you want. If it's not, it might be your instinct to add code to the Shown event (either of the dialog or the individual controls in the dialog) to reset things. Perhaps you need to set a checkbox back to unchecked (or checked) or clear the values from textfields. Rather than writing all that code that then has to be maintained, you can instead create an instance of the dialog on-the-fly rather than dragging it to the page itself to create an instance. The advantage is that since you are creating it on-the-fly each time its going to be displayed, the controls will automatically be reset to their default values. That won't work because web dialogs, even when instantiated on-the-fly, execute asynchronously. That means that while the dialog will be displayed, the code following the Show method won't wait for the dialog to be dismissed by the user. It will execute immediately. So that method is not going to work. You might be thinking you will just use the web dialog's Dismissed event. The problem with that solution is that this event is part of the web dialog itself and not part of the page where the dialog is used. That means that you can't easily use the web dialog with different pages. LoginDismissed, in this case, is a method of the web page that is displaying the dialog box. The AddressOf operator is passing the memory address of the LoginDismissed method so that it can be executed when the Dismissed event fires. That's it. Just add a LoginDismissed method to the web page and write the code there that should execute when the dialog is closed. When you want to use this dialog with another page, just add a LoginDismissed method to that page and use the same code above to display the dialog box. The LoginDismissed method will be passed a reference to the dialog object so you can easily access the dialog's various controls. MsgBox "The user clicked OK."
Creating a web dialog on-the-fly is a little more work than simply dragging one on to a web page, but it also can save you from having to write extra code to reset the dialog each time you display it should you need that behavior. There's an example project available here. At our Real World conference last May I showed a sneak peek of the work we are doing to support iOS in Real Studio. At that time, we had only implemented a few controls, really just enough to be able to give a demonstration. Now we are working on support for graphics. As you can see in the screenshot below, we have the canvas control working with the basics of the graphics class. The order in which we are developing is designed to determine any major issues as early in the process as possible. Controls are very straightforward so we are not spending a lot of time on those right now. We'll post more updates as development continues. I am often asked if we have solved the flickering problem that is often seen on Windows applications. Unfortunately, this is mostly an issue with Windows itself. Unlike OS X and Linux, Windows does not double-buffer window updates. 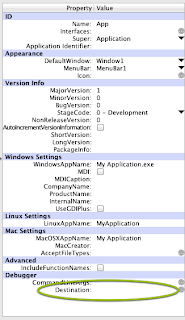 This is a source for annoying flicker in a wide variety of Windows applications, including those made with Real Studio. However, there are strategies you can use to minimize flickering in your Windows applications. The easiest thing you can do to prevent flickering is to not overlap any controls. Overlapped controls result in more requests to redraw the controls which results in flickering. For best results, display your graphics using the Paint event of a Canvas control. Stay away from using the Window Paint event, the Canvas.Backdrop property or the ImageWell control. Although those techniques work fine in certain situations, they often lead to flickering in more complex window layouts. On the Canvas, the first thing you want to do is enable the DoubleBuffer property and disable the EraseBackground property. The DoubleBuffer property allows the Canvas to do its updates offscreen to minimize flicker. 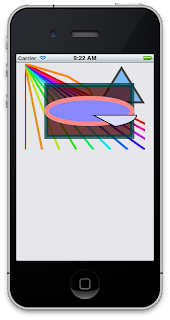 The EraseBackground property prevents the Canvas from being erased (and showing as a white rectangle) before it is redrawn, which is a common source of flicker. Now you can do all your drawing in the Paint event using the supplied graphics object, g.
Note: Do not do any drawing directly to the Canvas.Graphics property. This will likely increase flickering and will definitely slow down graphics updates. You can have separate methods that update the graphics, but they need to be called from the Paint event with the graphics object supplied to the methods as a parameter. The difference is that Invalidate tells the Canvas to update itself when it gets a redraw request from the operating system. The Refresh method tells the Canvas to update itself immediately. Generally, Invalidate is more efficient and should be your first choice. Both of the above commands do not include the EraseBackground parameter, so it defaults to True. This means that the Canvas is erased before the contents are redrawn, which can result in flicker. Instead, you should draw the background yourself and disable EraseBackground by passing False instead. I hope these tips help you to create great-looking Windows applications in Real Studio. Real Studio 2012 Release 1 makes use of the updated plugins API. In addition, some older classes that have been deprecated for a while have been removed (such as ContextualMenu). This means, more so than past releases, you also need to make sure you are have installed the latest versions of any plugins that you use. Older plugins that may still be relying on no longer supported API calls or removed functionality. This could cause them to behave unreliably and possibly cause instability when used with 2012r1.